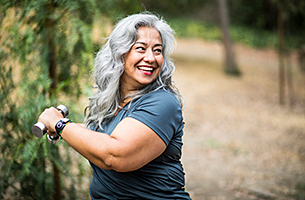 It is essential to keep yourself healthy and active while staying in a skilled nursing facility while recovering from an illness or after an extended hospital stay. 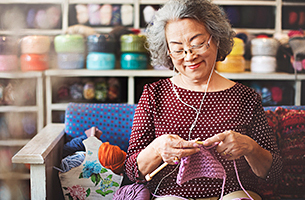 Keeping yourself engaged in a variety of activities can improve your physical and mental health and help you develop a positive attitude in the later years of life. Simple crafts are a great way to express your creativity, even if you are not usually a creative person. This can help stimulate your brain and encourage innovative thinking. Scrapbooking, making holiday decorations, painting, drawing, and sketching are a few fun things you can try to keep yourself entertained. These activities also help improve your cognitive skills. As we age, we tend to forget the importance of having a relaxing time and indulging in things that make us happy. The experts at skilled nursing homes believe that the therapeutic effects of touch and pampering yourself can help you feel better as well as aid in your recovery. Manicures, pedicures, and having a good massage can cheer you up and lift your energy level. You can also use your favorite scented candles and oils for a better experience. The time spent in a nursing facility is perfect for developing your hobbies. You can try reading novels, knitting, playing board games, and watching movies with others in the facility. In addition to keeping yourself entertained, this will also help you learn new things and stimulate your mental wellbeing. Staying in a new place is the ideal time to meet new people and develop connections with them. You can also find mutual love for many activities and do them together such as listening to music and gardening. You can also interact with them and share stories and experiences. Also, ask about their favorite memories, childhood, and life. Consider recording these conversations or keeping a journal so that you can cherish them for years to come. Going for a walk and exercising for 30 minutes every day will help you stay fit and remain in good shape. Even if you cannot walk for long, it is essential to move your limbs. Also, spending time outside can cheer you up and make you feel fresh and relaxed. If you have any queries about our nursing home near Providence, reach out to our representatives by calling 401-765-1440. You could also fill out our online form to request a consultation.